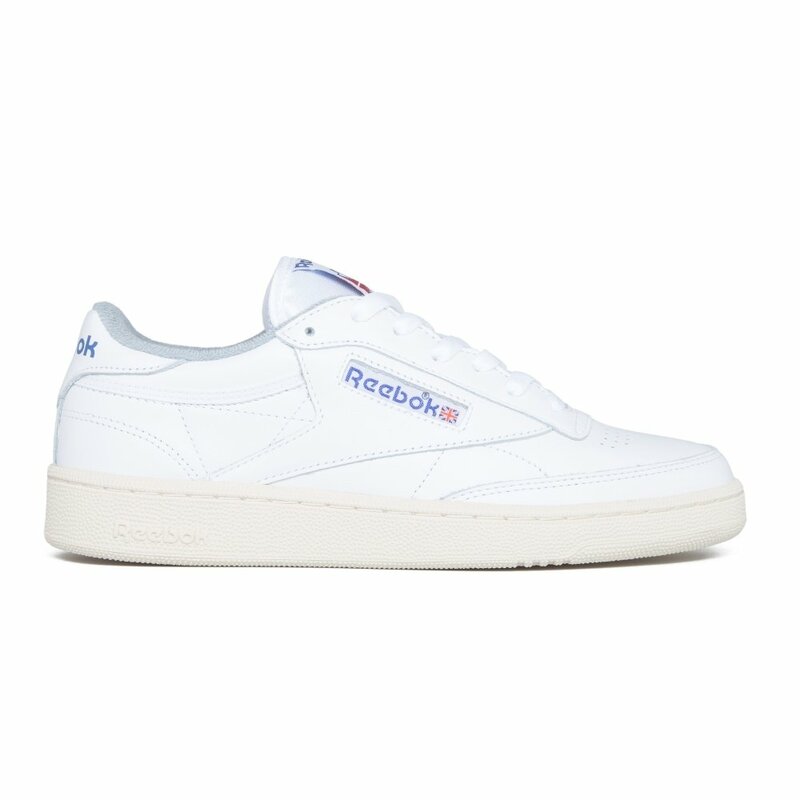 Reebok Club C 85 Vintage (White/Reebok Royal/Tin Grey/Sandtrap) - Consortium. The Reebok Club C 85 Vintage is based on an archival tennis shoe, executed here in this White/Reebok Royal/Tin Grey/Sandtrap colourway constructed with a premium leather upper; overlay panelling; inset Reebok side branding; perforated toe box for ventilation; rear Reebok branded heel tab; nylon tongue with Reebok branded label and a textured cupsole with Reebok branding. The Reebok Club C 85 Vintage is finished with a soft terry cotton lining for that extra touch of vintage goodness. * Inset Reebok side branding. * Perforated toe box for ventilation. * Rear Reebok branded heel tab. * Nylon tongue with Reebok branded label. * Textured cupsole with reebok branding.